So, recently I started following a DeviantArtist named FinikArt and fell in love with her Sonic fan comic called "Heroes Come Back" which centers on the Secret Freedom Fighters if their story continued. She has her very own character added to the team due to a certain situation with one of the Secret Freedom Fighters who I and many others absolutely love. I instantly fell in love with her fan comic and have asked her if she is okay with people dubbing it. Luckily, she is fine with people dubbing her work and has given me permission to dub "Heroes Come Back". She currently has four full issues of the comic out at this time and is working on the fifth so there is plenty to read and dub at the moment. If anyone is interested in helping me with this incredible comic, I am more than happy to accept your help in any way. I may also do some small comic strips of hers involving the Secret Freedom Fighters. However, I will mainly be focusing on the first issue of "Heroes Come Back" and will continue the series if things go well. Please keep in mind, if you do decide to audition, that there may be some time between the comics so please make sure that you are able to come back to reprise any roles you audition for in the future. If you are unable to reprise a role due to unforeseen circumstances, I understand that but will have to recast. Still, I look forward to working with anyone willing to work on this project with me even if it's only for a short time. Here are the links to the artist and comics for those of you who are interested in seeing them before you audition. 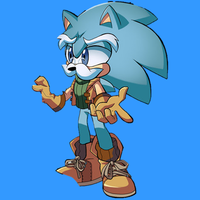 Silver is a time traveling hedgehog with psychic powers who has come from the future to save the past from a supposed traitor of the Freedom Fighters. His search for the traitor and the one responsible for destroying his future has led him to come at odds with the very heroes is is trying to protect to the point of Sonic nearly attacking him in a rage. Although naive and misguided at times, Silver has the potential to become a great hero one day. Luckily, he has found an alliance with others who share his goal of protecting the world and others from harm but cannot come out in the open about it. Silver is now Ace of the Secret Freedom Fighters, teaming up with ex-King Elias Acorn (King), jinxed Larry Lynx (Joker), wolf pack twins Leeta and Lyco (Queen of Diamonds/Hearts), rebuilt and reformed Badnik Shard the Metal (Jack), retired leader of the SID Harvey Who, Sonic's uncle Sir Charles The Hedgehog, and artificial intelligence NICOLE the Holo-Lynx. With the team's help, Silver has finally found the "traitor" and helped Team Fighters bring the roboticized Princess Sally Acorn back home. However, his adventure seems far from over as one of his teammates and new good friends has been met with a terrible fate at the hands of Metal Sonic. Now on a mission to protect not just his future but all his friends (and avenge Shard), Silver has decided to remain the past to continue the fight against Doctor Eggman. However, he's about to receive a new teammate who may put his mission in jeopardy. I’m going to say goodbye to everyone and finally go home. A criminal?! Are you serious, sir? 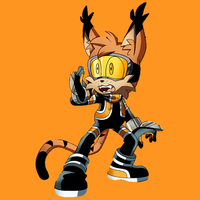 An experienced intelligence officer and former spy of the Egg Legion, Stripes was imprisoned for his "misdeeds" by Jack Rabbit of the Sand Blasters. However, a twist of fate has led Harvey Who, the director the the Secret Freedom Fighters, to bring in the convicted criminal to help with a special mission when Shard has fallen out of commission. Usually calm and unflappable, Stripes loves and knows how to freak everybody out. He has a kind heart, but filthy temper, and it is not always possible for him to keep it in a tight rein. He is sometimes straightforward to tactlessness, but still sincere. He is convinced and impenetrable optimist. Even in the most desperate situation, he does not lose his presence of mind and a sense of humor. Humor, by the way, is as sharp as the language. His jokes are sarcastically, but mildly, not shun self-irony. Resourceful and smart, he is able to quick analyze and respond to the situation. He forgives easily. Plant by nature, he is a loner in life, because he can't build of strong and long-term relationships. Wow! How many folks! I guess it’s introducing time. I’m Stripes the Raccoon. Just call me “Stripes”. A lynx with the ability to warp his surroundings with his infamous jinxing powers (not by his command), Larry has had a difficult life. For some time, he found pride and confidence as the leader of the Substitute Freedom Fighters. However, he soon found himself lost in life when the team disbanded. Just when his luck couldn't get any worse, his bad luck suddenly turned to good luck when he accidentally sat on a stump that was actually a secret passage to the hidden base of the Secret Freedom Fighters and Harvey Who made him a proud member of the team under the alias "Joker". Teaming up with time-traveling psychic Silver the Hedgehog (Ace), ex-King Elias Acorn (King), wolf pack twins Leeta and Lyco (Queen of Diamonds/Hearts), rebuilt and reformed Badnik Shard the Metal (Jack), retired leader of the SID Harvey Who, Sonic's uncle Sir Charles The Hedgehog, and artificial intelligence NICOLE the Holo-Lynx, Larry now has a second chance to make a real difference in the world and prove that he's more than just bad luck. Unfortunately, one of Larry's teammates and new friend Shard has recently been fatally wounded in battle against Metal Sonic and there's no telling if he will ever be the same again. Filled with a new sense of purpose and determination, Larry and Silver are ready to hurt Eggman and avenge their fallen comrade. But they're not going on the mission alone. So many bad things happened lately, but Shard . . . I still can’t believe he suffered that hard. Allow us to take this mission. Well, this is a uniform. A master of disguise and espionage, and former head of the Secret Service and the Freedom Fighter's Secret Intelligence Division, Harvey Who was once retired. 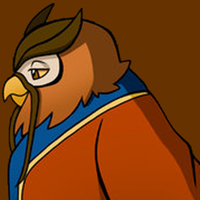 However, when Elias Acorn asked him to help him overthrow the villainous Ixis Naugus, Harvey Who formed a new team called the Secret Freedoms. Needing members of secrecy, skills, and potential, Harvey Who recruited an unusual team consisting of the time-traveling psychic Silver the Hedgehog (Ace), ex-King Elias Acorn (King), wolf pack twins Leeta and Lyco (Queen of Diamonds/Hearts), rebuilt and reformed Badnik Shard the Metal (Jack), and jinxed Larry Lynx (Joker), as well as the support of Sonic's uncle Sir Charles The Hedgehog and artificial intelligence NICOLE the Holo-Lynx. 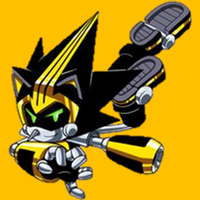 However, recent events has left one of the Secret Freedom Fighters out of commission from a deadly battle with Metal Sonic. Needing help for a special mission that would not only help the city and the Freedom Fighters but also provide payback against Eggman for what happened to Shard, Harvey Who calls in a new recruit who may be a threat to the team. Charles? You’re overworking yourself, my friend. Stripes, you stay here for the night. And no nonsense. Keep yourselves safe, my friends. Uncle Chuck is the uncle of Mobius's great hero Sonic the Hedgehog and a member of the Council of Acorn. Unhappy about Ixis Naugus taking the throne, Uncle Chuck agreed to help Harvey Who assemble the Secret Freedom Fighters and even rebuilt the original Metal Sonic now named Shard the Metal. After Shard's fatal battle with Eggman's Metal Sonic, Uncle Chuck helped operate a special mission for revenge against Eggman. He currently awaits to complete one of Shard's last missions to save Princess Sally from Roboticization. It’d better be so, kid. Do not talk as if you have nothing to do with it. I am here at your request. Created by Doctor Eggman as the original Metal Sonic, Metal ultimately sacrificed himself to save Sonic and Tails after developing a sense of humanity. Miraculously, his Power Gem survived and was recovered by the Royal Secret Service and brought back to the Kingdom of Acorn for study. Although Uncle Chuck had some concerns about rebuilding the Metal Sonic that had tried to kill his nephew Sonic, Shard reassured him that he had learned his lesson and truly wanted to make things right. Shard was made a member of the Secret Freedom Fighters under the call sign "Agent Jack". He became extremely close to Silver the Hedgehog, Larry Lynx, and NICOLE the Holo-Lynx (possibly developing romantic affections for NICOLE). Shard took on an urgent mission to protect a resting Antoine D'Coolette at the hospital from Metal Sonic, leading to an epic battle in the Great Wastes. Unfortunately, the battle left Shard fatally wounded and out of commission. Hey, there. How about we take this outside? A-and, N-NICOLE? Y-you’re . . . The hero of Mobius, Sonic the Hedgehog has spent nearly his entire life fighting against the evils of Doctor Eggman. Although rather cocky and arrogant of himself, Sonic is a true hero who will always do what is right. 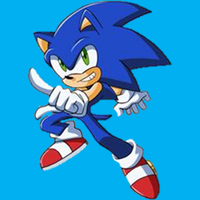 After the Freedom Fighters were disbanded, Sonic, Tails Prower, and Amy Rose formed Team Fighters to continue the battle against Eggman while Rotor Walrus, Cream the Rabbit, and Big the Cat formed Team Freedom to defend New Mobotrolis. One of Team Fighter's main priorities is to rescue the roboticized Princess Sally Acorn and bring her home. With the help of Silver the Hedgehog, Sonic is finally able to return his childhood sweetheart home and possibly save her from Eggman's evil. NICOLE is an artificial intelligence program that originally resided in Sally's hand-held computer, but has since gone from being a simple hand-held assistant to a loyal friend and trusted member of the Knothole Freedom Fighters. She's incredibly versatile and able to interact with and manipulate most chaninery and computer systems due to her advanced technology and is capable of mental and emotion growth. Due to the latter, she has gradually become more and more lifelike in demeanor during her time interacting with the Freedom Fighters. Even she herself desired to "live" as they do and developed a complex holographically simulated body that can be projected where resources are available. After a series of mistakes and failures during her depression of losing Sally, NICOLE was mistrusted by the people of New Mobotropolis and she was exiled out of fear that she would turn against them. During her exile, she was recruited by Harvey Who to help the Secret Freedom Fighters. Her exile was soon-after lifted and she was welcomed back to the city with the help of her friends. She soon developed an unlikely friendship with the original Metal Sonic now named Shard The Metal. She now worries what fate awaits him after his fatal battle with the new Metal Sonic. Charles! I’m sorry, but it’s urgent. Functional. It was simply bypassed. So hacking was not detected immediately. Inside . . . Hacking occurred from the inside.